The TRU Alert system is only one aspect of TRU’s growing safety plan. 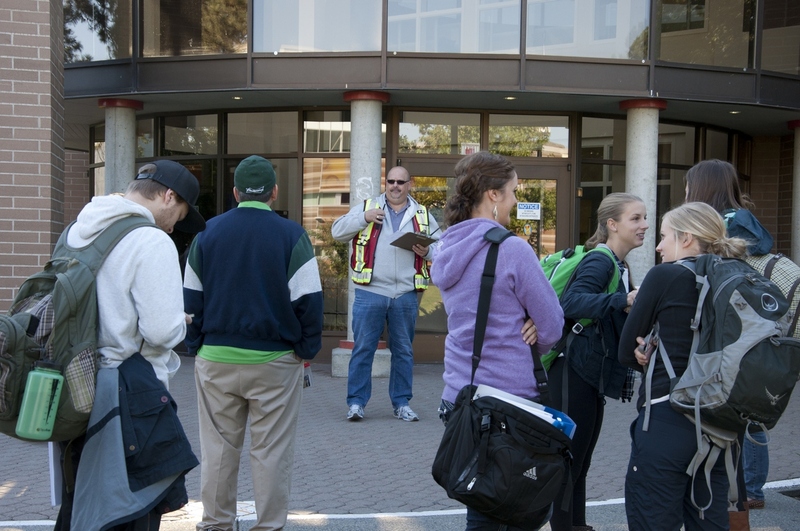 Evacuation drills and active shooter drills are among the university’s plans for keeping students prepared. The TRU Alert system was implemented in May 2013. The emergency notification system is a combination of desktop and mobile alerts meant to relay key information to students and staff during an emergency. Alerts can be set up to reach mobile devices through text messages, emails or phone calls. Desktops connected to the TRU network, digital signage, TRU’s Facebook and Twitter account and the TRU website will also relay messages. The system’s first test in May went out to the 524 people who had signed up for mobile alerts. More have signed up since then, with 1,259 people set to receive the mobile alerts. The decision was made over the summer to make the mobile system compulsory, since desktop alerts can only reach a minority of the TRU community. Right now the safety department is just trying to educate people about the system, but in the future singing up will go hand-in-hand with registration according to Jyrkkanen. “We’re further ahead today than we were a year ago,” she said. Another initiative includes the Run, Hide, Fight program, which aims to prepare students for a shooter on campus. It includes educating the community on emergency preparedness and response, but will also include exercising those skills. “Everyone is worried about ‘what if there is a shooter on campus? '” said Jyrkkanen, adding that there are many things to consider during such an event. Jyrkkanen is in the beginning stages of planning an active shooter exercise, which many other universities have done. The exercise is currently planned for May 2015. 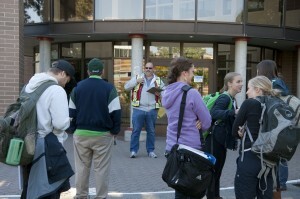 The RCMP and Emergency Management BC are also being consulted to decide what the exercise will look like. It is currently planned to include reactions by emergency response teams and may also involve Royal Inland Hospital. Because of all the components involved and the seriousness of this exercise, the TRU community will be thoroughly notified in advance. In the end, Jyrkkanen said the education, preparation and exercise should educate students on proper responses during any number of emergencies or evacuation drills.